We would like to welcome the Four Rivers Career Center to our tractor family. The FRCC will be sharing a new video series to our SteinerTractor.TV channel. 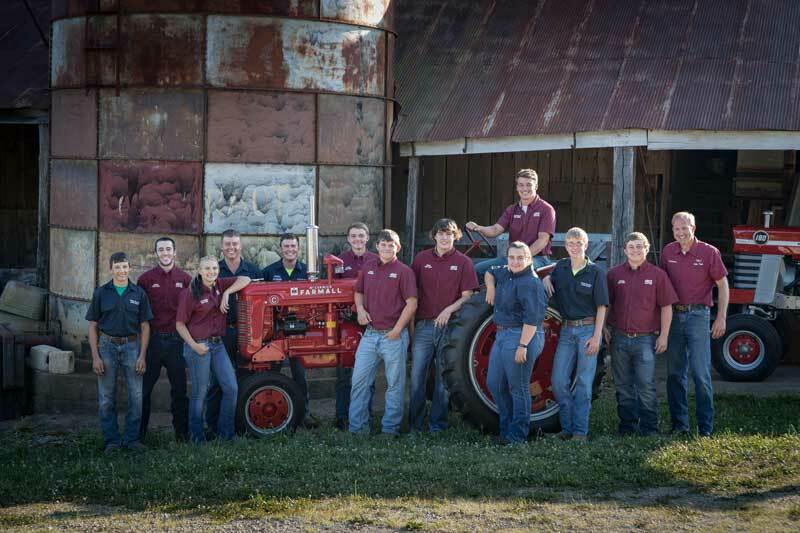 The students from Four Rivers Career Center are restoring a 1949 John Deere A, and a 1951 Farmall H. In the first video they outline the criteria to participate in the program then give a little heads up on upcoming projects. Check back to watch the progress as the students complete the restoration on these tractors, and include a few video tips of things they have learned. I teach Automotive Technology at Four Rivers Career Center (4RCC) in Washington Missouri. We have high school and adult students in our class. I am one of two instructors in the Auto program. At the career center, we have several programs available to students that you could check out on the website if you like. Its an awesome place to get a project built as there are many skilled trades in the building. This is 14 years under my belt as an instructor. In 2008, I was approached by a friend of mine to see if any students would be interested in rebuilding a motorcycle top to bottom. Since this does not fit in the curriculum, I needed to find a way to fit the project in. I had all summer to think about it and then I decided to try and use the motorcycle for student advantage and mine as well. This was the starting point of what we call Night Shift at 4RCC. For student to participate in Night Shift I wanted to set standards that would drive students to achieve higher standards in school that would make them better prepared for the work force when they entered it. There is no cost to the student to participate. I have been volunteering my time to this program and will continue to as long as my wife allows me to. We meet on Tuesday and Thursday nights from 3:30-7 at 4RCC.​ It started as an Auto Tech only class but has evolved into something a lot bigger now. Students are responsible not only for the project at hand but also are required to cook meals at Night Shift as well. This is to help prepare them for college life if they need it… I try to encourage them to prepare healthy meals to break them of the dependence of fast food. Early projects included motorcycles, cars and pickups. We mainly made routine repairs and some advanced diagnostics that were not possible during the regular schedule of the day. I did notice when the weather would get warmer, student numbers would drop off with these projects. In 2014 we did work on three Peterbilt semi trucks for the ATHS show in Springfield Missouri. I noticed the participation was through the roof! I started that year with 12 and ended with the same 12. That was a signal for me that students want to work on something other than the normal day. I had brought in a Ford 841 of my cousin’s to repair a failed second gear. I noticed the students REALLY got into the project. Since we were splitting the machine, we decided to paint it. The next year the students took on a 960 Ford and made it a little nicer! In 2015, we decided to go all out and dove into a Massey Ferguson 180 owned since new by my Uncle Jim. The 180 officially became mine on September 5, 2015. I wanted to refine the 180 and to show-pony status as it was a huge influence on me as a boy. I had the right machine, students, and the time was right to pull the trigger. We almost completely dismantled the 180 to make needed repairs, but took it a step further. All castings are smoothed out to make the tractor look glass smooth. This pushed the students farther than they thought they could go and achieve results and have such a pride in work they can call their own. Night Shift has evolved from just Auto Tech students to district wide and even have some elementary students joining us now. Its purpose is to get those kids on the fence to make good life decisions and provide them with life skills and a sense of pride in knowing you can accomplish something big if your willing to put in the time and effort. We recently worked on a 1948 Farmall C for the Knights of Columbus Journey For Charity tractor cruise. It was raffled off in September 2017 and proceeds went to local food pantries. It is also highly refined and building character in these students. Follow Four Rivers Career Center on their Facebook page. How do I replace the brakes on my Farmall H? How to properly identify your carburetor? Do the brakes on your Ford function improperly? Watch this free instructional video demonstrating the installation of brake shoes on a Ford 600. 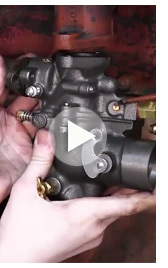 In this newest series of tractor repair videos offered exclusively online at SteinerTractor.TV Rachel Gingell shows you helpful tips when installing new brakes. Watch as Rachel takes you through the installation from start to finish. 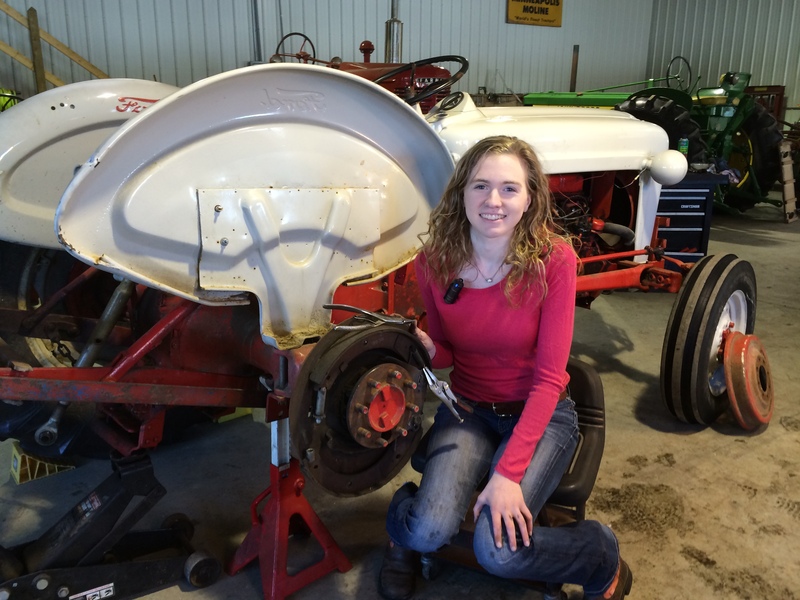 You can also watch more #WrenchingwithRachel videos on our Tractor Repair Video page. Transmission. Drive forward and reverse in all gears, with no unusual noises or excessive grinding when you change gears. If you’re unfamiliar with the type of tractor you are considering, take a moment to look up a gear schematic (a map of where to find the gears) before visiting the seller. Tires. These can be expensive to replace, so take the tire condition into consideration. Look them over carefully, too – a dishonest seller can use black silicone to cover up a rip or tear in the tire. Hydraulics. Check both the 3 point hitch and the hydraulics on the loader, if it has one. Oil Pressure. The tractor should have proper oil pressure – look up what to expect before you leave home. Compression test. Some purchasers go to the extreme of checking the compression – I believe this is unnecessary. If the tractor starts well and runs strong, you can be confident in the compression. No special test necessary. Smoke. While a certain amount of smoke is going to be present in an antique tractor (especially a diesel), be wary of anything excessive. Oil. Some people will write the date on the oil filter. We looked at one tractor not too long ago with an oil filter that was dated in 2009 – indicating that the tractor has had little to no maintenance in the past six years! Yet the seller told me he “took really good care” of his tractor. Red flag! Obvious mechanical issues. You can’t put everything on a checklist – just pay attention while you drive the tractor around. Major issues with the brakes, power steering, engine running, etc. will stand out if you pay attention. Extras. Always ask about any extras that the seller may have forgotten about – things like the operator and service manuals, implements, top link, tire chains, drawbar, or even an extra oil filter are often free for the asking. 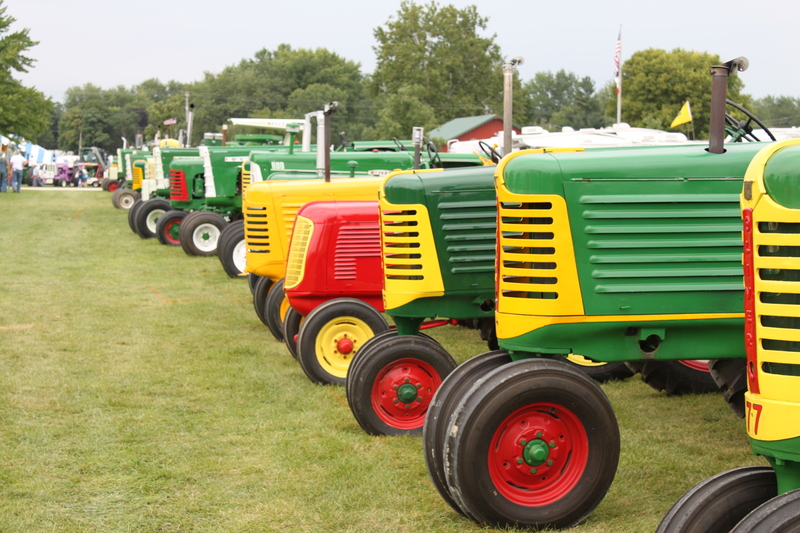 These are the basics – the top ten things to check every time you buy an antique tractor. Don’t be afraid to purchase a tractor that isn’t perfect. 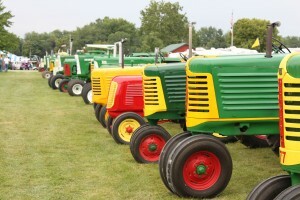 In fact, you’d be hard-pressed to find an antique tractor that doesn’t have a single issue! Rather, be an informed buyer and know what issues on the tractor will need your attention. Come back next week for a more in-depth discussion of things to look for when buying an antique tractor, including common cover-ups for major mechanical issues and ways to protect yourself from getting ripped off. Rachel shows you how to replace a clutch in a Farmall Cub tractor. She also shows you how to do an adjustment and goes thru troubleshooting steps. This step by step tractor repair video is one in a series in the “Wrenching with Rachel” series on Steiner Tractor Parts.